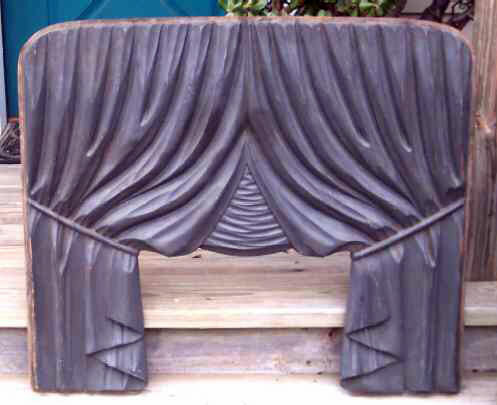 Presented here, the most fabulous pair of carved wooden hearse curtains. These are the nicest we have ever seen. The carving is very deep, the surface is exceptional, and they are DOUBLE! As Folk Art, it just doesn't get any better! Size is 34" long x 30" high.